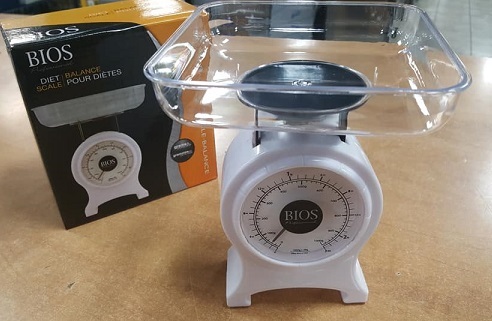 KITCHEN DIET DIAL SCALE, PLASTIC, BIOS PROFESSIONAL. Metric scale in grams. Weighs up to 1000g.